Erica Weiss was steeped in traditional music and dance from an early age: most notably she enjoyed eight childhood years in the Ukrainian Dnipro Dancers performing troupe in NYC, and then in college years she conducted the Yale Slavic Chorus. Soon after, Erica fell head over heels in love with Appalachian fiddle music. 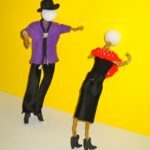 At about the same time, she started hitting dance halls to learn Cajun and Zydeco dance. 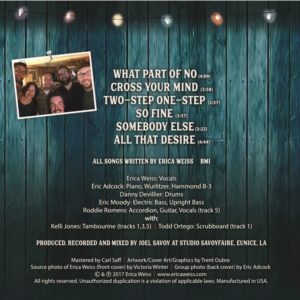 With many trips to Louisiana and other points south, along with instruction from many of the finest, she dove right into rhythm guitar, fiddle, accordion, song, and dance and has since had the opportunity to play with some of today’s most exciting musicians. 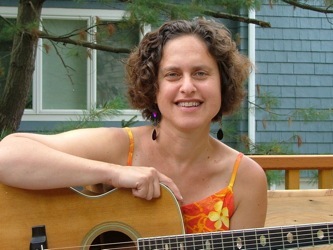 Erica currently plays guitar, fiddle, accordion, bass and sings with Cajun bands and Old-Time Music bands, as well as singing with various Balkan ensembles. 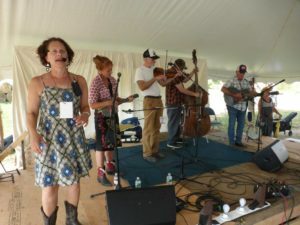 Appreciated for her solid old-time rhythm guitar, she has backed up winners in fiddle and banjo contests, and has placed with bands at fiddlers’ conventions, including Galax VA Old Fiddlers’ Convention. Erica loves teaching as much as playing and performing, and is popular with students ranging from very young children to adults of all ages. 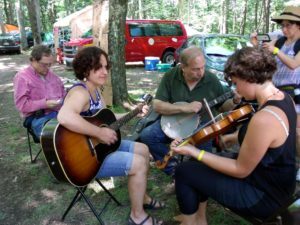 In addition to guitar and fiddle, Erica has taught workshops in Cajun and Old-Time ensemble, Balkan singing, Cajun and Zydeco dance, folk dance, and more at numerous camps and festivals. Her Contra, Square, and Community dance teaching and calling is notable for her solid programming as well as her patience with all levels and environments, including family and community events for novices. 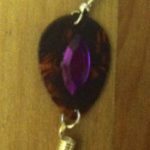 Erica is also known for her original “Hand Picked” earrings crafted individually from guitar picks of various sizes and colors. 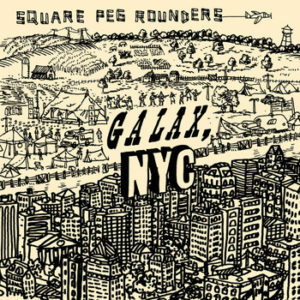 These have come to “perk up the ears” of many friends in the dance and music communities over the years. 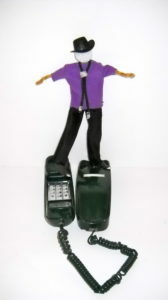 Additionally, she has created a music video using many handmade characters and props, and she is working on other creative projects, including prose writing, hopefully ready to be shared with the public soon. 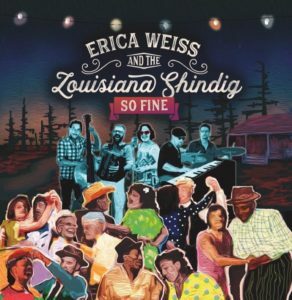 Erica Weiss & the Louisiana Shindig/So Fine: Click cover image to listen (Youtube)!